At Gilchrist Farm, we have a holistic approach to horsemanship. Learn about horses from the ground up. 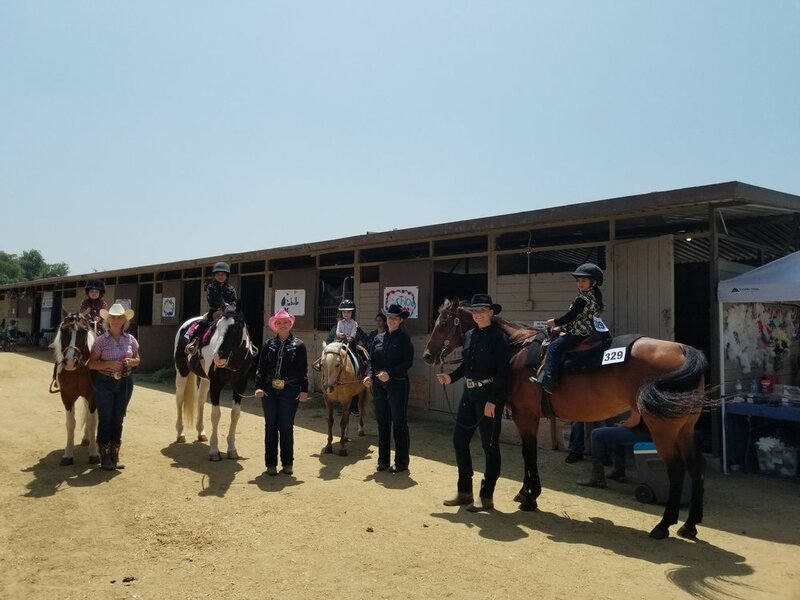 We teach a comprehensive view that gets you prepared to own your own horse, enhances your relationship with your horse or just simply provides a safe and fun experience for adults and children. We teach English, Western, and Driving and are here to prepare you for the arena, the show ring or the trail. Introductory lessons through advanced competition. Fun show, parade and play days onsite. Lessons available daily, multi-lesson packages available. To schedule your lesson or meet the instructors contact us. For our younger friends, we offer Pony Lessons on our sweet ponies! These shorter 1/2 hour lessons teach all the basics of good, safe and effective horsemanship on our sweet ponies. 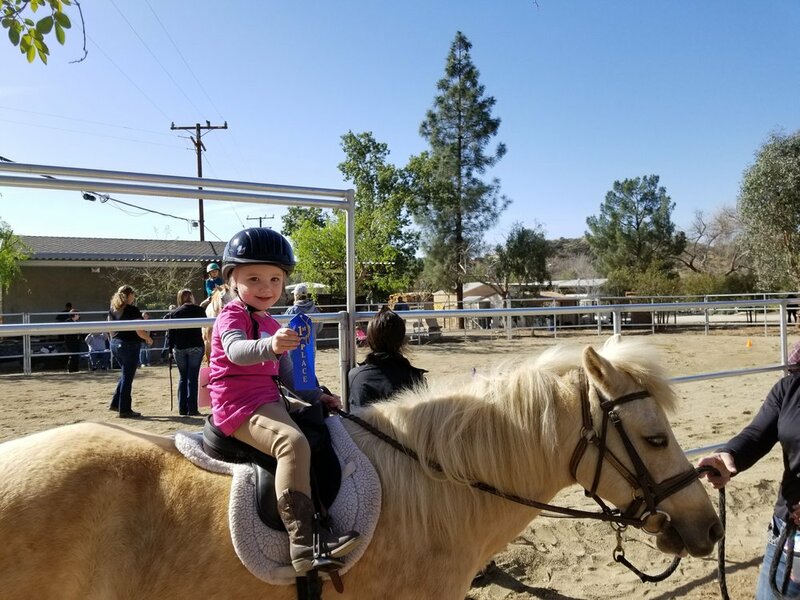 Pony lessons are $35 and are appropriate for children ages 3-6. To schedule, contact us to arrange a lesson. For our school age children though adults, the full hour lesson teaches a comprehensive approach to riding and horsemanship. Contact us to schedule your lesson. SCHEDULE YOUR LESSON TODAY! Contact us directly to schedule your lesson at info@gilchristfarm.com or 661-645-2517. Every Saturday from 9AM - 2PM enjoy pony rides for just $5! Suitable for children that are over One year old (and able to sit up by themselves) through to children that are 80 pounds. Our sweet ponies are calm, gentle, loving and a great introduction for your little ones! Also available during specials events (additional hours during the Harvest Festival, Holiday Hoedown and Spring Fling) and available for your own private party or event at Gilchrist Farm! We have a Show Team that competes off-site as well as multiple In House shows, parades and play days each year. Our FEBRUARY 10th SHOW HAS BEEN RESCHEDULED TO MARCH 24TH!